Electrical engineering is a field of engineering and it deals with the study and application of electricity, electronics and electromagnetism. The field became occupation in the late nineteenth century after commercialization of the electric telegraph and electrical power supply. It covers a range of subtopics including power, electronics, control systems, signal processing and telecommunications. The course gives depth knowledge theoretical and practical to students and makes them able to work in industry. For applying Diploma in Electrical engineering a student must have at least 55 % marks in 12th class ad in mathematics or science field. It is necessary to have mathematics and science in 12th because electrical engineering is an engineering program and it does have use of mathematics and science concepts, so students will be more ease to learn it if they have mathematics and science on their 12th. There are many good job opportunities available after completing B.Tech (Electrical Engineering). If you pursue M Tech/ MBA/ M.S after gaining some work experience, you will be in a better position to grasp the course contents and apply them appropriately to the work. after completing Diploma in Electrical Engineering there are a number of job opportunities for candidates. All manufacturing units in public and private sector need Electrical Engineers. Electrical Engineers are required by almost all government sector companies. Some of the companies who regularly recruit electrical engineers are Power Grid Corporation of India Limited (PGCIL), Bharat Electronics Limited (BEL), National Thermal Power Corporation (NTPC), Bharat Heavy Electricals Limited (BHEL), Steel Authority of India Limited (SAIL), Oil and Natural Gas Corporation (ONGC) Coal India Limited (CIL). Jobs in various government organizations. Electrical Engineering has a very broad scope with the science and technology which involves electricity, electronics, and electromagnetism in order to design, constructs, and maintains products, services, and information systems. 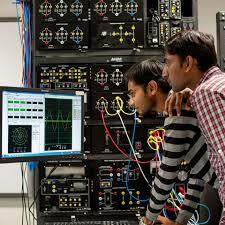 Electrical Engineering does have great scope in India as well as out of India. Today Electricity is the main source of energy and is used in houses, companies, factories and everywhere and so its professionals does have great scope and demand. These professionals can work with government and private organizations. Some of the government companies providing career for electrical professionals are BHEL/BEL/NTPC/Power Grid etc. So electrical engineering is a good career choice and does have good scope and growth as well. Students also can work individually as a consultant and can provide their consultancies to small firms/shops/business and also in houses.